Home » Uncategorized » You’re not Responsible for other People’s Happiness. You’re not Responsible for other People’s Happiness. You can’t Fix Other People’s Problems! 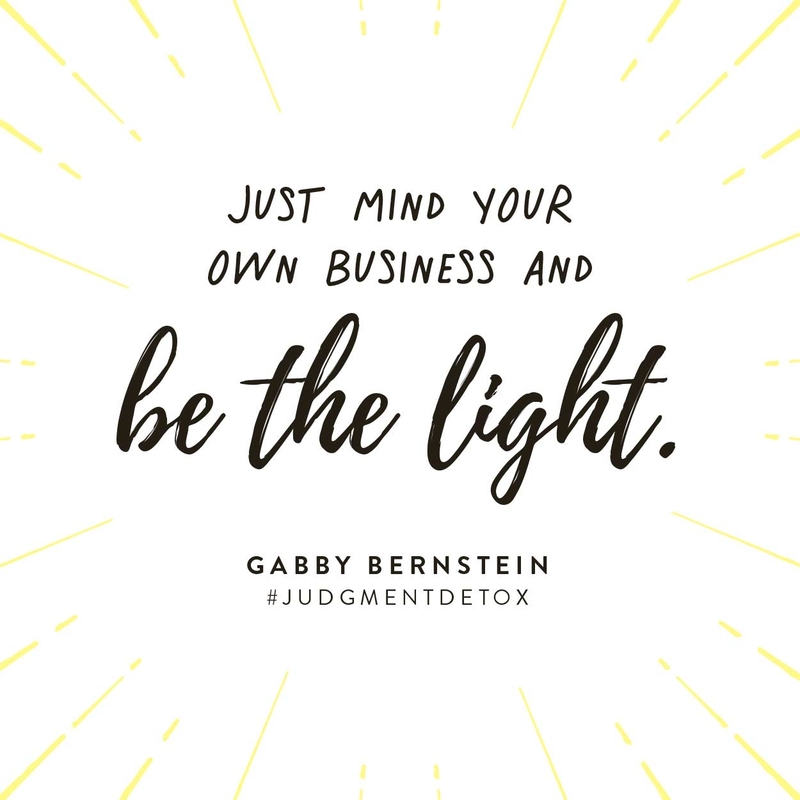 I was inspirited by reading Gabby Bernstein’s new book Judgement Detox and the whole topic of trying to fix other people or taking away their pain and problems……As an empath I struggle with this exact thing myself for many many years. Working with clients that experience the same problems. Do you often try to help your friends, family members, or even coworkers or acquaintances fix their problems? This is something I see come up all the time with people who are on a path of spiritual and personal growth — I’ve done it too. 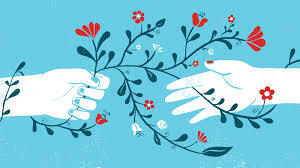 When you’re experiencing beautiful shifts and miracles, you often want to help others. But we have to be careful, because there’s a fine line between supporting others and trying to “fix” them. If you ever try to fix other people’s problems or make yourself responsible for their happiness, I hope the tips I offer in this post will help you to release that need. This can be really hard at times, especially if you’re a nurturing person or just deeply love the person who’s struggling. You want to be the fixer. You want to help them find the solution, make smart choices and see the light. It might even feel selfish NOT to intervene and take care of things. After all, aren’t friends and loved ones supposed to support each other? But there’s a difference between loving and supporting someone and trying to fix their problems and make them happy. One you can do. The other you simply cannot. Everyone is responsible for their own happiness. And, in fact, trying to take on the responsibility of another person’s happiness can hurt them in the long run and deprive them of miracles. When you feel the urge to be the fixer, follow the three steps I outline below. You’ll feel immediate relief. You can release the need to be responsible for another person’s happiness. The weight will be lifted and you’ll be able to show up for your loved one AND yourself. Everyone has their own guidance system, whatever it is they believe in — whether that’s intuition, angels, spirit guides, the Universe or God. Even if they don’t believe, there is a guidance that we believe in that we have to trust is protecting them and guiding them. Have faith in other people’s guidance systems. I learned this a long time ago. You don’t want to deprive somebody of their bottom. Every one of us has experienced turning points in our lives. These are opportunities to pivot, to hit our knees and fully surrender. When you try to fix someone else, you just get in the way of their potential to experience this miracle. I want to encourage you to really own that you are not here to deprive anyone of their bottom. Give them the chance to experience exactly what they need to experience, and don’t be afraid of it. We have to be conscious of the fact that it’s not our responsibility to change, or heal, or help, or resurrect anyone from their own issues and feelings. We have to trust that no one will change until they want to be changed. When they’re ready for that change to come into their life, then you’ll be there. You’ll be able to show up for them when they’re ready to show up for themselves. In this process, while you’re allowing them to experience what they need to experience, and trusting that they’re being guided, just give yourself this opportunity to be in prayer for them. You can pray for them to have it be gentle when they hit bottom, and for them to receive very clear direction when it happens. Send them a lot of love, set positive intentions for them and speak positively about them when you’re not with them. Trust in the power of your intentions and your prayer, and know that they are enough. 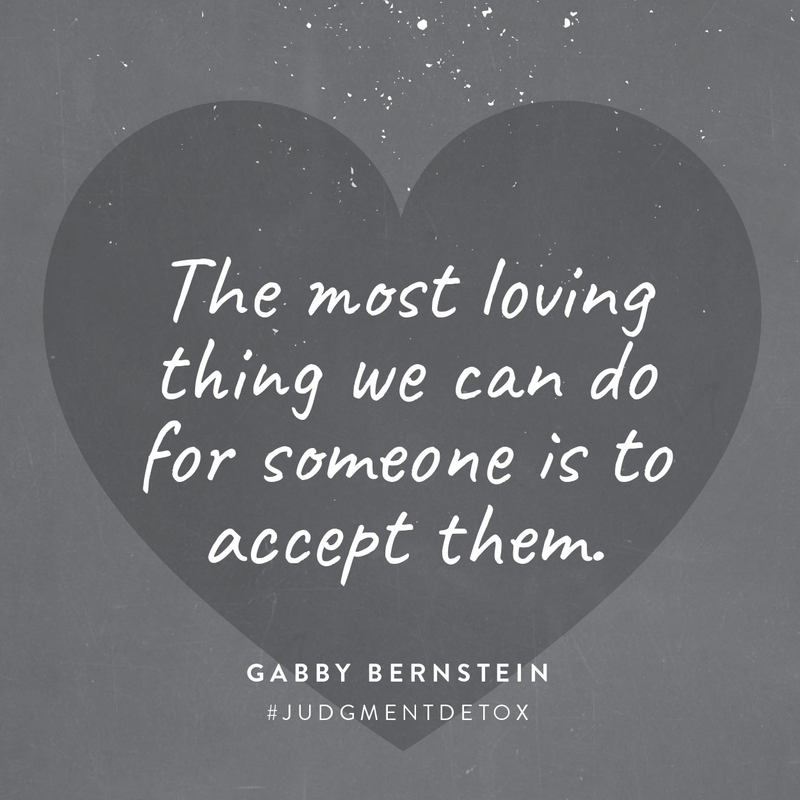 The most loving thing we can do for someone is to accept them. The most unloving thing we can do is try to change them. When you try to change someone you’re effectively saying that you know what is best for them. Your unsolicited “help” is a way of controlling and judging them. People may not be show up the way you want them to, but when you accept them where they are you can let go, forgive and release. If someone wants to change and asks for your help, you can show up and offer support. But it’s not helpful, kind or loving to try to impose change on anyone. When we invite spirit in through prayer we return to our right mind and find acceptance. A Course in Miracles teaches that spirit accepts and the ego analyzes. Spirit accepts what is true, which is that we are all love. USUI Holy Fire Reiki Master. Join me September 2019 in Umbria, Italy for Eat, Play, Love Women’s Retreat!